If you haven't heard the news, Massachusetts Senator Elizabeth Warren is 1/1024th Native American...maybe. Yesterday Warren released an entire campaign in an attempt to refute claims she faked her heritage to get ahead in her career. That campaign has backfired. With just three weeks to go before the 2018 midterm elections, Warren just made herself a major topic on the left and the right. So far, Warren seems to be one of the few who thought dropping this issue into the final stretch of campaign season was a good idea. President Obama's 2012 presidential campaign manager doesn't like the optics. 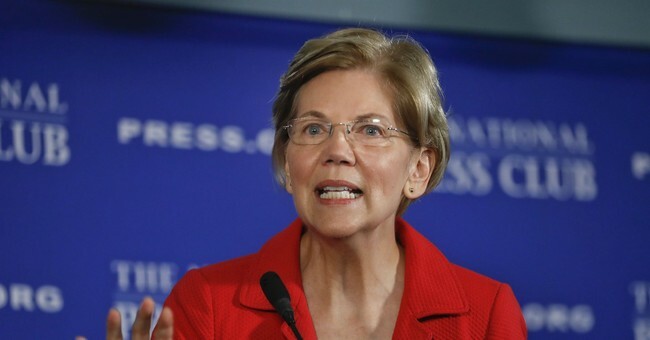 Keep in mind Warren continues to deny she's running for President in 2020, but yesterday's move solidified that claim is just as bogus as her Native American heritage. Meanwhile, the Cherokee Nation isn't buying Warren's explanations either and issued a brutal statement refuting her "evidence" as "useless."